Spread the chips on a piece of waxed paper. Melt chocolate chips in a large bowl in the microwave stirring every 30 seconds, or melt over a double boiler. 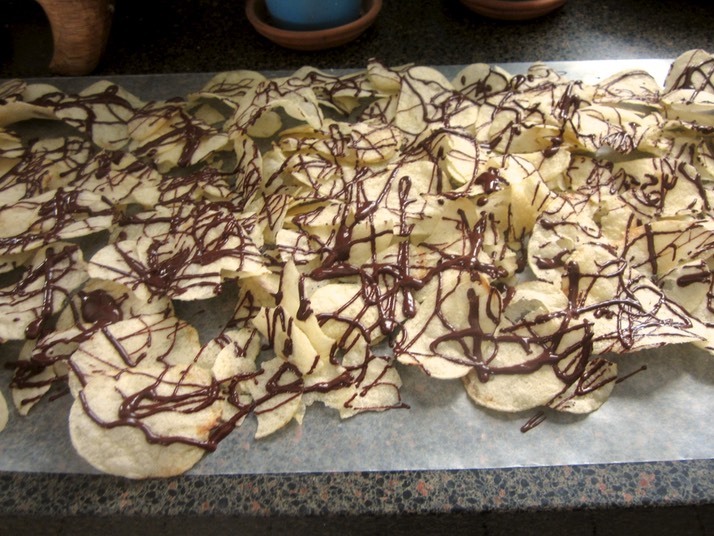 Drizzle chocolate over chips and let cool.